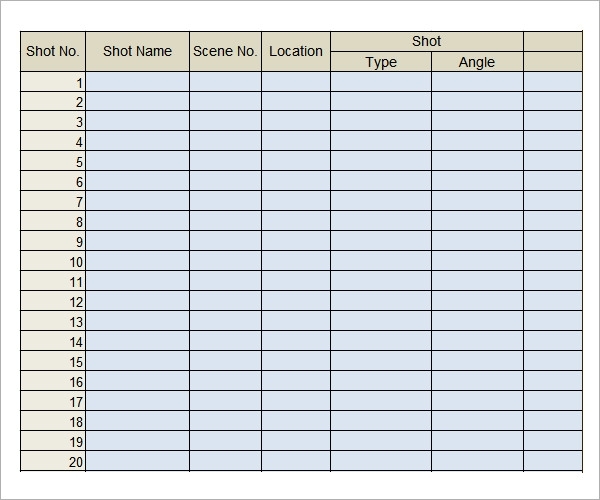 Shot lists are essential in the world of photography and movies. It’s hard to keep track of all the shots you’ve taken being a professional cameraperson. Sometimes even the locations and dates cannot be identified if the order is ill-maintained. 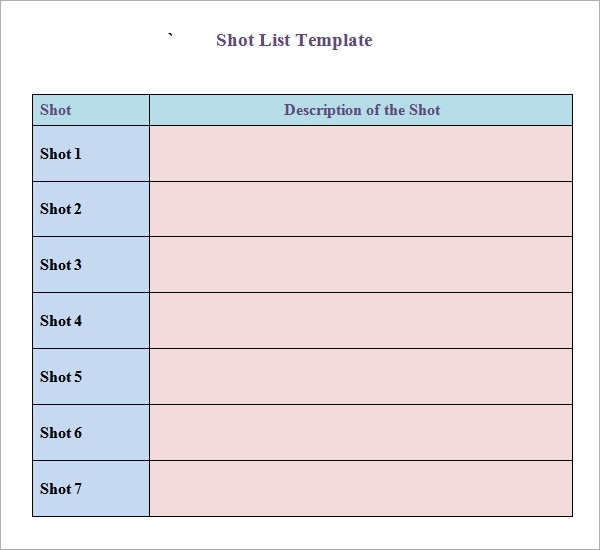 Thus is the need for shot list templates which will enable you to customize them according to your preferences. Making shot lists is a tedious job by itself, letting alone the data entry part. 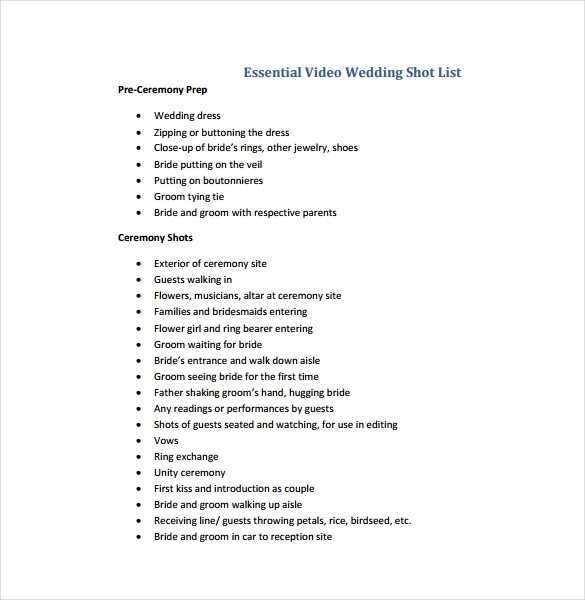 But these wedding list templates make the task a lot easier for you to manage alone. 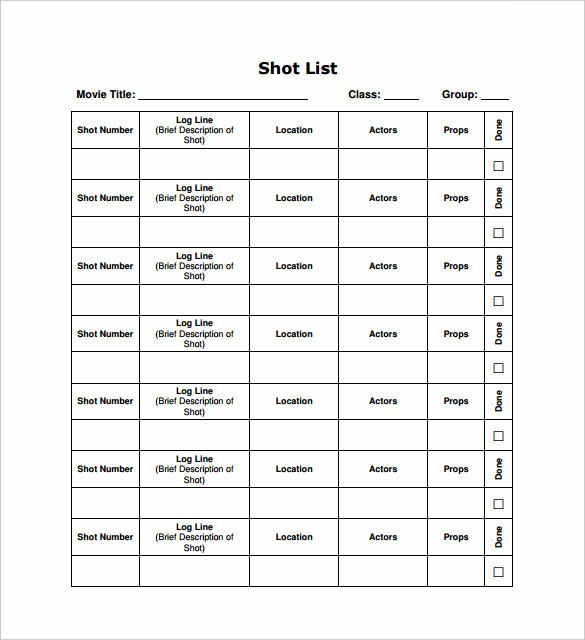 Shot List Templates for Google Docs are impeccable Google Docs spreadsheets can do wonder with all the collection of templates that it provides with. They are highly customizable in comparison to the shot list template pdfs. But pdfs are the most portable to avoid any unintentional alteration. So the choice of the format depends on your purpose. 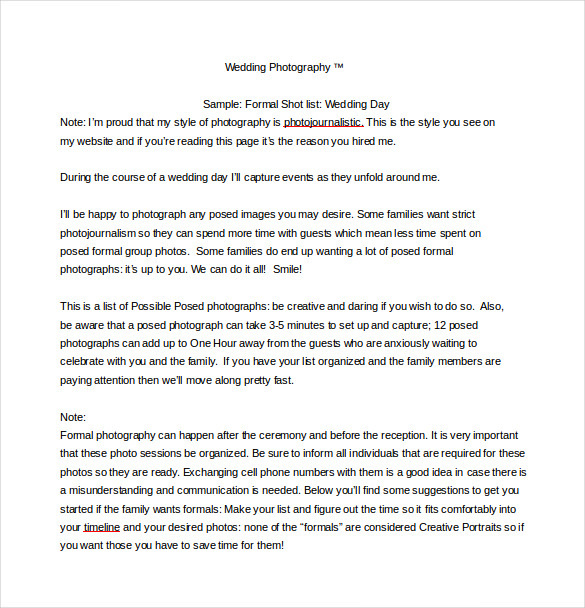 Most of the photography shot To Do List Templates are available for free download. 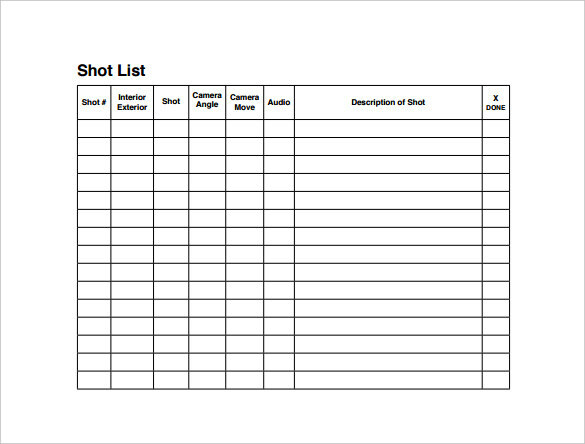 Any aspiring photographer can have access to them along with the professionals.Shot List Templates for Excel are more Dynamic Than All Excel is almost indispensable for every other template, shot list templates not being an exception. These worksheets help to keep your data updated, and several macros are there which can be utilized to make the process even more dynamic.You may also see material lists. 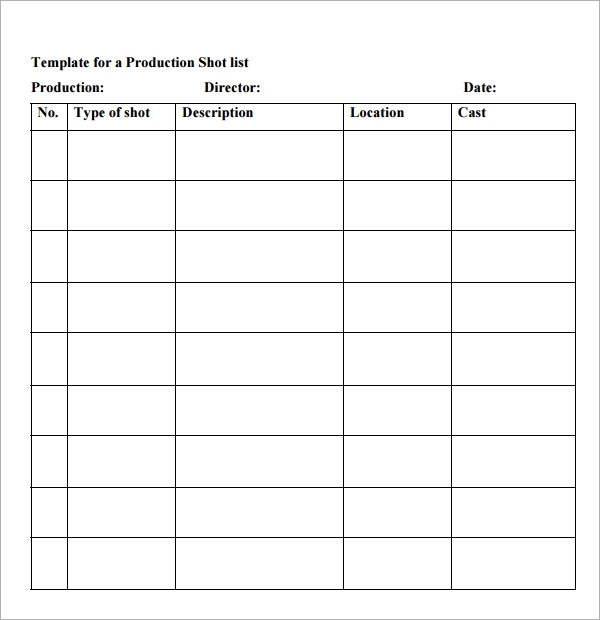 Shot list template docs are not to be ignored though, they are one of the most traditional yet most effective utilities in the world of templates. 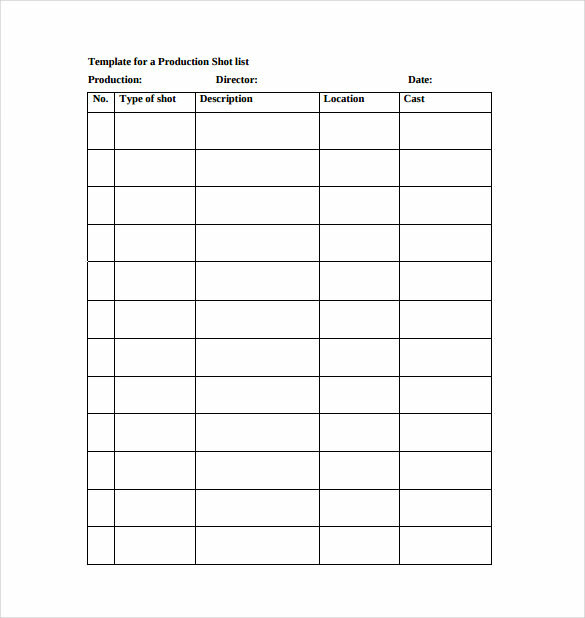 Storyboard templates for movie purposes are also available in abundance.Google Docs, PDFs, Word documents and Excel formats are the most favorable ones for shot list templates. 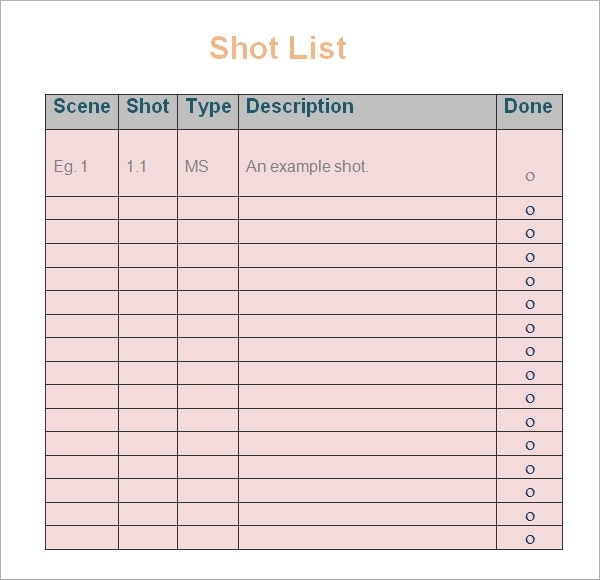 Storyboard templates for movies are essential to integrate the shots according to the plot. Camerapersons can customize these templates as per their needs to get the best out of it. Fields can be reset in case of Google spreadsheets and Excel worksheets.